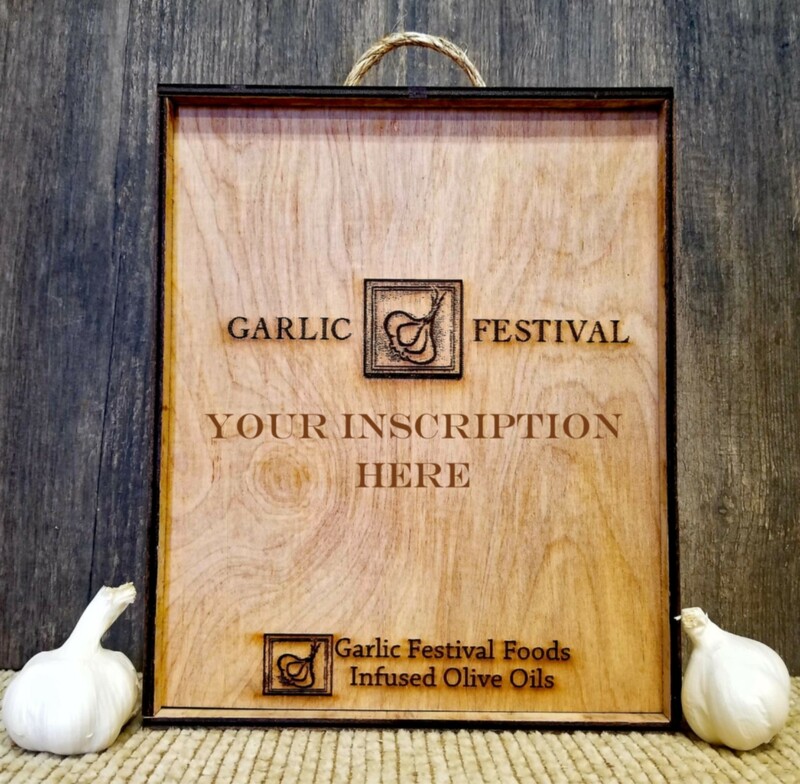 Mix-n-Match any four of your favorite Garlic Infused Oils or Vinegars to be included in our very high end, customized wood box personally engraved just for you or yours. 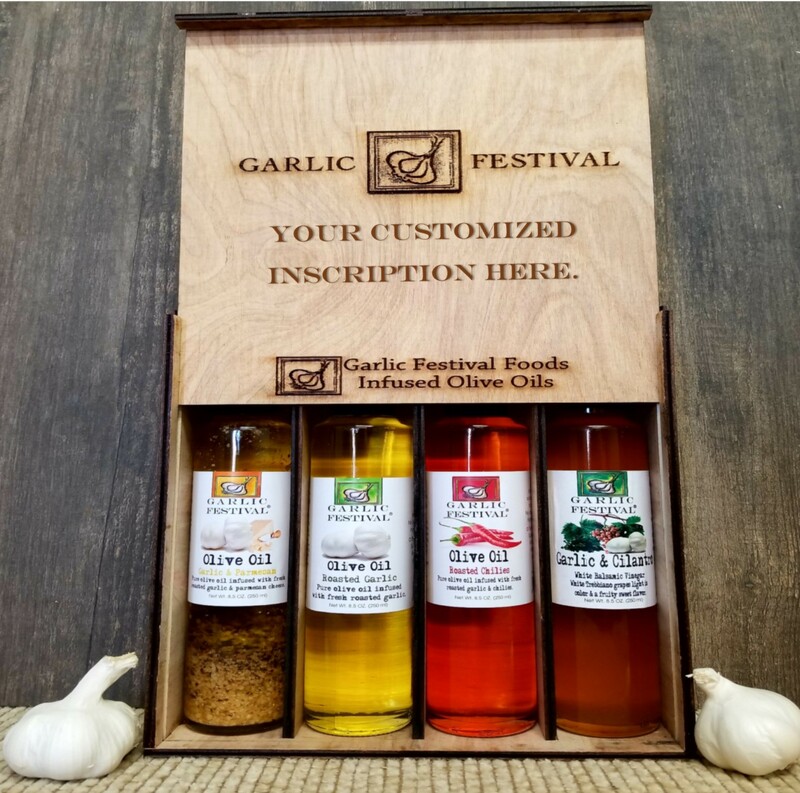 This very impressive offering makes the ideal & classy gift for virtually any occassion: Holidays, Birthdays, Weddings, House warming; you name it and we will personaly engrave this beautiful gift as you wish. Please order early to allow for engraving.